I feel privileged to avail the NEWS India-UK fellowship on the topic “Optimising use of organic wastes for maximum nitrogen use efficiency”. The guidance was received from Prof. Jo Smith, Institute of Biological & Environmental Sciences, University of Aberdeen, Scotland, United Kingdom during 27/02/2017 to 28/03/2017. I attended a course on “Ecological and Environmental Modelling” during the fellowship and wrote two papers. I feel that I could achieve much more than what I expected, mainly due to kind cooperation, guidance, motivation and necessary help from Prof. Jo Smith. She has been a wonderful and very helping person. She gave her very personal care to arrange our accommodation and good space to work in her lab. Apart from academics, she has taken us to the North Sea beach where we could watch the swimming seals. Prof. Jo arranged all sorts of facilities, including free library access to us. 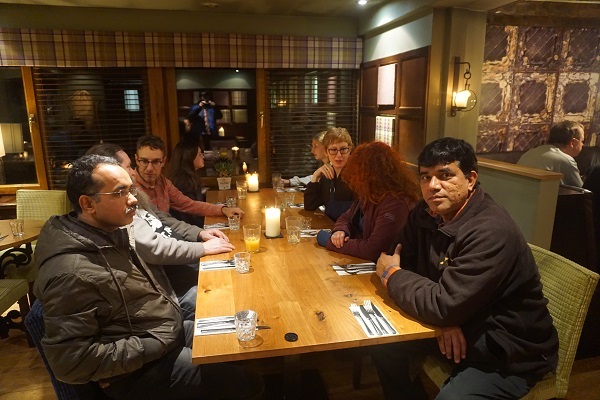 We also got opportunity to socialize with local people, particularly during a dinner in a traditional ‘Pub’, thanks to Prof. Jo Smith. It became our habit to visit the sea beach every weekend and enjoy the beauty and serenity of the North Sea. To the beach, it was just walking distance from the place we stayed. We interacted with local people and socialize with them. It was in fact a sort of cultural exchange. 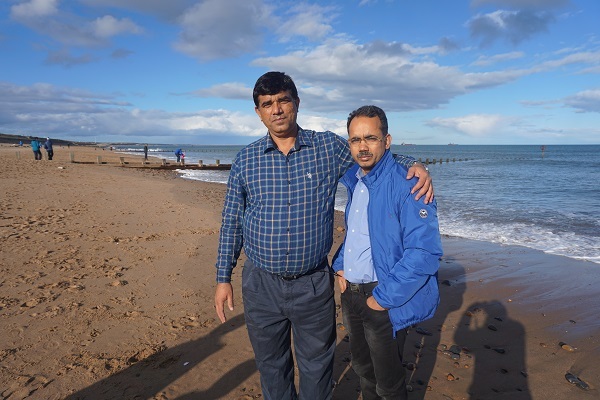 Thanks to Prof. Mark, we got the opportunity to visit Edinburgh. 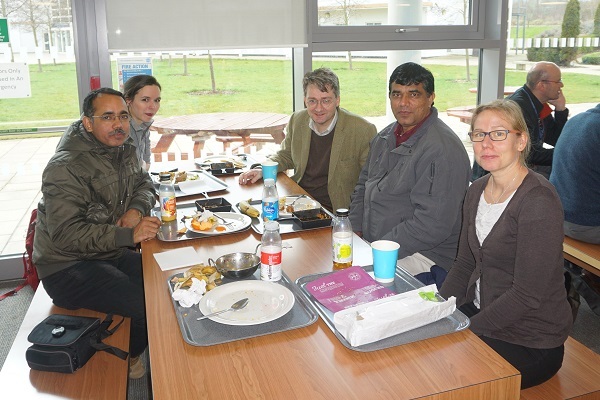 During this visit linkages were established with people/professors/scientists of the University of Edinburgh and the Centre for Ecology and Hydrology. 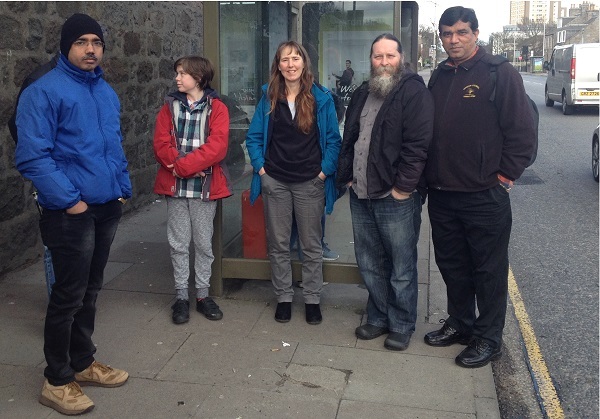 Our visit to the pyrolysis lab of Prof. Saran Sohi, at the University of Edinburgh was quite an amazing experience. Prof. Sohi provided us an insight to biochar production and use. He was a nice host. At the Centre for Ecology and Hydrology, Prof. Mark, Dr Julia and Dr Andrea showed us the centre and the facilities available there. Prof. Mark was kind enough to host a nice lunch there. He also showed us some places around Edinburgh. Overall, it has been a wonderful experience and I gained a lot during my stay in Aberdeen. Special thanks to Prof. Mark Sutton, Prof. Jo Smith, Dr Julia Drewer, Dr Andrea Móring, Dr N. Raghuram, Dr Himanshu Pathak, Dr Arti Bhatia and to all other collaborators who helped me to avail this very prestigious fellowship. I can never forget the regular company of the Indian colleagues, Dr Girish Kumar Jha and Mr Ram Kumar, who also availed a NEWS fellowship in the same time with me. Thanks to all.